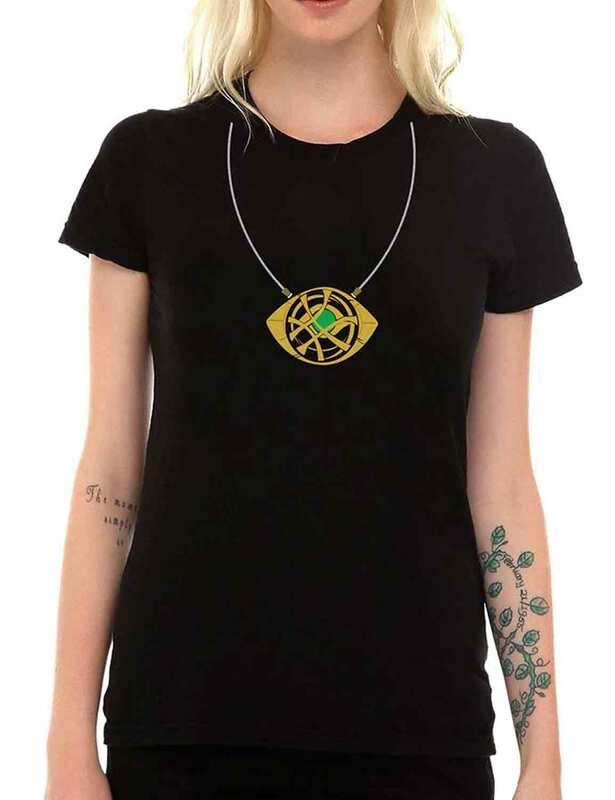 You will love to wear the shirt that is fantastic piece for your wardrobe and give you an appealing look in front of the viewers. 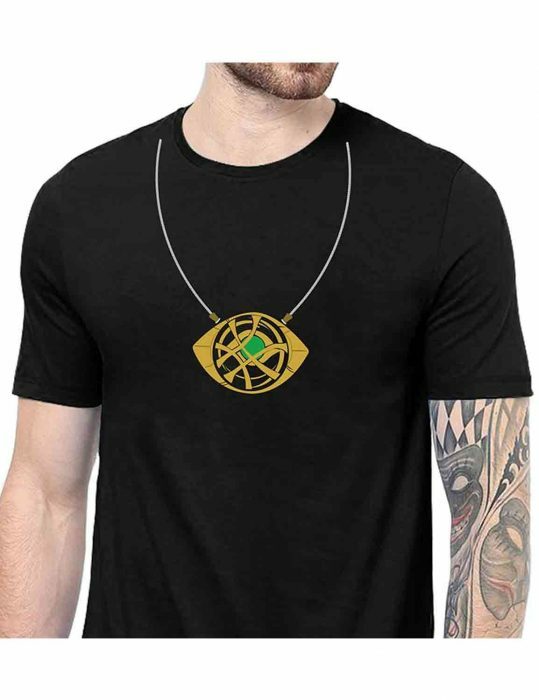 This Doctor Strange Eye of Agamotto Necklace Shirt is a fantastic piece that will give you a best comfort and amazing feeling all the time when wearing it. 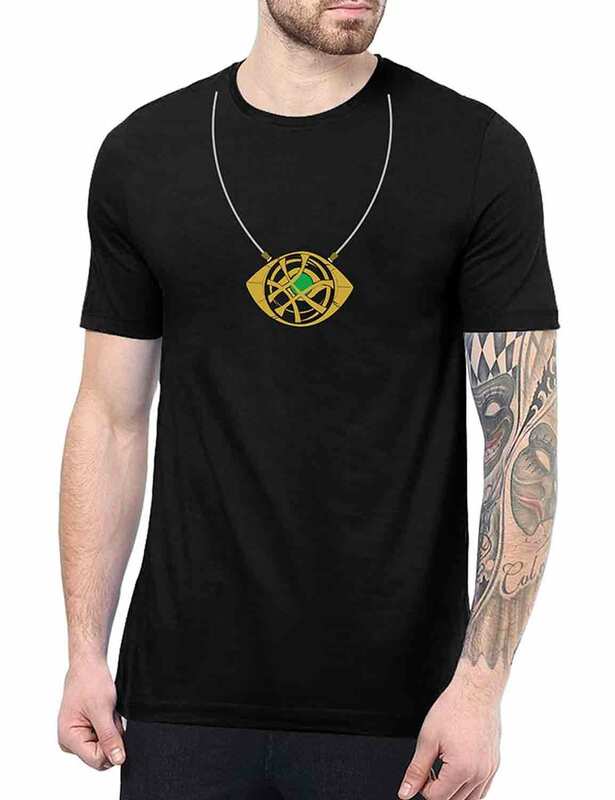 The Doctor Strange shirt is made up of cotton fabric and has inner soft lining that will help you in moisturizing your sweat and give you refreshing look all the time. 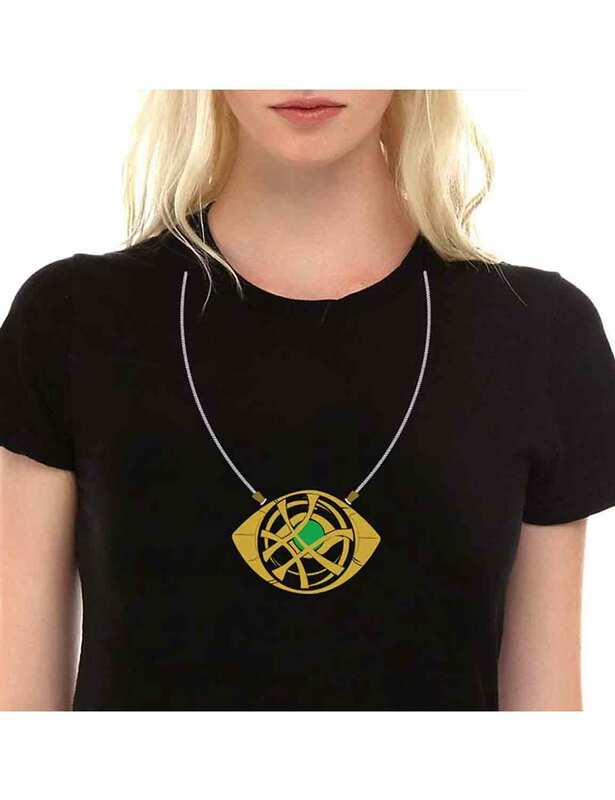 It is featuring crew neck, short sleeves and has Eye of Agamotto Necklace Logo Shirt at the front and give you an impressive look all the time. The black color is always pleasing that will force everyone to compliments on your appearance.